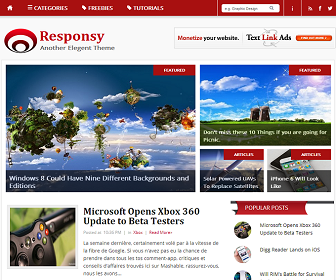 Responsy is a one of our best blogger template, with fixed nav-bar and elegant look. We've added social buttons in menu-bar's sub category. Beautiful Social bookmark buttons will surely attract all your visitors. Clean color combination makes Responsy template more elegant.